FactSet's leadership team is responsible for defining our values and developing a global workforce that’s inclusive, unified, and empowered to solve our client’s greatest challenges. Mr. Snow has served as Chief Executive Officer since 2015. Prior to that, Mr. Snow held the title of President. He began his career at FactSet in 1996 and spent several years establishing and growing the Company’s presence in the Asia Pacific region based in both Tokyo and Sydney. Mr. Snow then held various leadership roles within Global Content Sales & Americas Sales. He earned a B.A. in Chemistry from the University of California at Berkeley and a Masters of International Management from the Thunderbird School of Global Management. He holds the Chartered Financial Analyst designation and is a member of the CFA Institute. Mr. Snow is passionate about diversity & inclusion in the workplace and has committed FactSet to the CEO Action for Diversity & Inclusion™. Mr. Fernandez joined FactSet from J.P. Morgan in November 2017 where he was most recently the Chief Technology Officer, New Product Development. In this role, he developed the strategy and built the engineering function to support J.P. Morgan’s innovation efforts in the Corporate Investment Bank. During his decade at J.P. Morgan, Mr. Fernandez held various other roles, including Chief Technology Officer for Client Technology and Research and Banking Information Technology. Prior to that he worked at Credit Suisse and Merrill Lynch in various technology leadership roles. Mr. Fernandez has a B.S. in Computer Science and Economics from Rutgers University. Mr. Robie joined FactSet in 2000. He currently leads the Analytics strategic business unit, where he oversees strategy, development, engineering and quality assurance. Prior, he was director of Global Fixed Income, leading sales and support efforts for FactSet’s fixed income product offering, which includes Fixed Income Portfolio Analysis and Fixed Income Analytical Services and guiding the future development of FactSet’s fixed income products. He holds a bachelor’s degree in Economics from Beloit College. Ms. Shan is the Chief Financial Officer of FactSet responsible for its global finance functions, including financial reporting and operations, corporate development, and investor relations. Previously she was at Marsh & McLennan Companies (MMC), most recently as the CFO of Mercer, where she was responsible for its global finance and strategy functions. Ms. Shan also served as Vice President and Treasurer of MMC with oversight of the company’s global treasury operations, including capital management, pensions, investments, and cash management. Prior to Mercer, Ms. Shan was the Vice President of Finance and Treasurer at Pitney Bowes, Inc., where she had global responsibilities for treasury, corporate development, and investor relations. Before Pitney Bowes, she was at J.P. Morgan Securities, Inc., where she served in a variety of roles, including Managing Director, Diversified Industries. Ms. Shan began her career at Salomon Brothers. Ms. Shan holds an MBA from Johnson at Cornell University and dual undergraduate degrees from the University of Pennsylvania's Wharton School of Business and School of Applied Science and Engineering. She currently serves as a member of the Johnson Advisory Council. Ms. Stern joined FactSet in 2001 as General Counsel. In addition to the Legal Department at FactSet, she is responsible for administration of our offices in Hyderabad and Manila; Facilities Management and Real Estate Planning; and Third-Party Content and Strategic Partnerships. Ms. Stern is admitted to practice in New York, and Washington D.C., and as House Counsel in Connecticut. Ms. Stern received a B.A. from Yale University, an M.A. from the University of London and a J.D. from the University of Pennsylvania Law School. Dan Viens is Chief Human Resources Officer at FactSet. He joined FactSet in 1998 and has in-depth experience working in the technology, database, and financial services sectors. Prior to joining FactSet, Mr. Viens was the Director of Human Resources for First Data Solutions and Donnelley Marketing, where he developed significant Human Resources acumen. Mr. Viens graduated from Boston University and holds both a master’s degree in Clinical Psychology from Eastern Illinois University and an M.B.A. from Columbia University. Mr. Wiseman is Executive Vice President, Global Head of Sales and Client Solutions at FactSet, with responsibility for all sales and client service activities. Notable during his 13-year tenure with FactSet was his role as Senior Vice President, Global Head of Strategic Partnerships & Alliances where he was instrumental in establishing enterprise client relationships and closing large and complex deals. Prior to his experience with FactSet, Mr. Wiseman was a Senior Managing Director at Bear Stearns & Co. Inc.
Mr. Wiseman received a B.A. in Political Science and Management Science from Duke University and a Master of Business Administration from the University of Edinburgh in Scotland. Mr. Adam is a Senior Vice President and Global Director of Portfolio Management and Trading Solutions at FactSet. Prior to this role, he served as the Global Head of Product Strategy at Portware LLC, A FactSet Company. Mr. Adam has over 18 years of experience in financial services technology. Before joining Portware, he held various roles at Liquidnet, including Director of Product Management and Director of Corporate Strategy. He also held product and sales engineering roles at NEON, Sybase, and Slam Dunk Networks. Mr. Adam holds a B.A. in International Relations from the Maxwell School at Syracuse University. Mr. Ellis is the Senior Director of New Business Development for FactSet. In this role, his focus is to work on forming a clear buy, build or partner strategy for the Order Management System (OMS) and Execution Management System (EMS) workflows within FactSet's clients. Mr. Ellis joined FactSet in 1994 as a Consultant. He successfully defined and expanded the Portfolio Manager Workstation Sales business unit and became its Vice President before he assumed the position of Director of Portfolio Analytics. Under his direction, the Portfolio Analytics team specialized in meeting the needs of investment managers, fund of funds firms, and plan sponsors for performance attribution, risk optimization, and returns-based analysis. In 2007, he was promoted to his current position and assumed responsibility for fixed income analytics. Mr. Ellis is a graduate of Stanford University and is a CFA charter holder. Cindy has an MBA from New York University’s Stern School of Business in Corporate Strategy & Entrepreneurship, and a BS from the State University of NY at Albany. Cindy is currently a Board member of the Society for Information Management (SIM) NY chapter where she is responsible for the Program Committee and actively participates in SIM Women. She also serves as the Secretary on the Board of Directors for Hearts of Gold, a nonprofit organization whose mission is to permanently improve the lives of NYC’s homeless mothers and children, and is helping to build scale in that organization. Cindy lives in New York City with her husband, two children and their dog. Ms. Karnovsky leads the Research business unit, delivering solutions for Investment Banking, Buy and Sell-Side Research, Private Equity, Corporate and other workflows. In this role, she oversees global teams responsible for the strategy, product development, engineering and quality assurance for FactSet’s core Workstation applications and Research Management Solutions (RMS) suite. Ms. Karnovsky began her FactSet career in 2001 as a Consultant and spent over a decade building FactSet’s sell-side business in various Sales leadership roles. She holds a bachelor’s degree from the University of Scranton. Mr. Newman leads the development of FactSet’s off-platform products including financial data solutions and application technologies. Prior, he was the head of the Quantitative Investment Management group, which focused on creating solutions for the quantitative workflow. Mr. Newman was a co-founder of Insyte, FactSet’s first acquisition in 2000. He is a CPA and started his career at Deloitte, Haskins, and Sells in New York. He is a graduate of the Wharton School of the University of Pennsylvania. Mr. Skoko's primary responsibilities include focusing on increased deployment and building community within the wealth management community. He joined FactSet in 2004 as a Senior Product developer of Real Time products. He was quickly promoted to Vice President of Real Time Product Development and led the successful transformation of FactSet's real-time offering to a global solution capable of addressing the needs of our clients. He has served in his previous role of Senior Vice President of Market Data and Research Product Development since 2009. 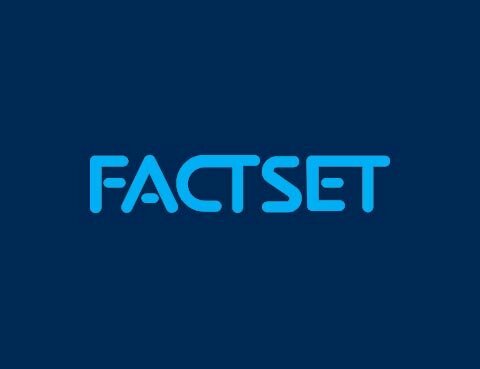 Some of Mr. Skoko’s key accomplishments at FactSet include integration of multiple standalone products into FactSet workstation, development of the wealth segment strategy and the acquisition of StreetAccount. Prior to joining FactSet, he spent 16 years in various engineering and product development roles at Thomson Financial. He is a graduate of Fordham University where he earned his B.S. in Physics and Computer Science. Mr. Strand is Senior Vice President, Director of Content at FactSet. Mr. Strand manages content collection, content development, and product integration of FactSet Fundamental products and services. Since joining FactSet in 1998, Mr. Strand has worked in various departments, including Consulting and Product Development. He received his bachelor’s degree in Economics and master’s degree in Sociology and Organizational Behavior, both from Stanford University.